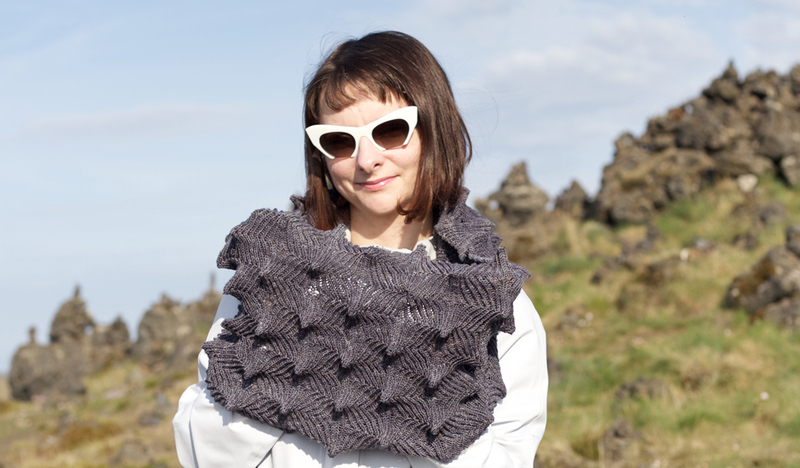 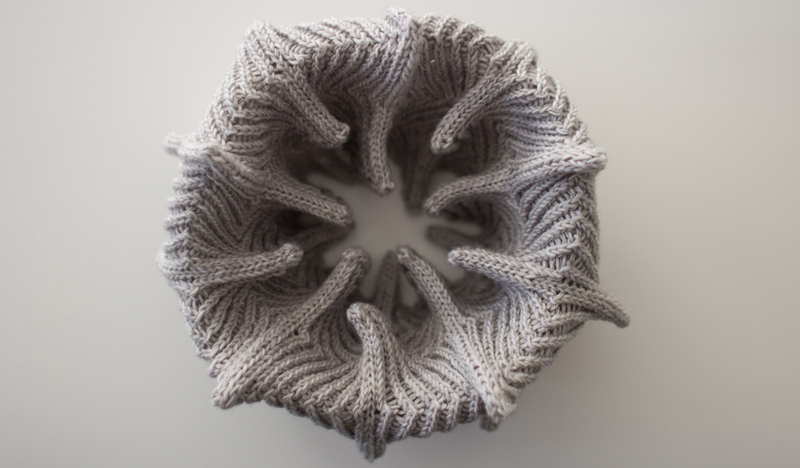 Inspired by several of my previous designs, this cowl comes as a representation of my continuous fascination with textures. 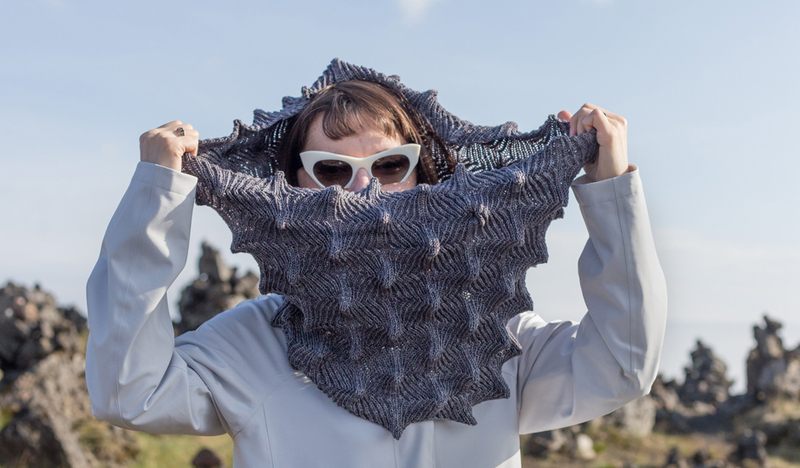 Exploration and application of it in knitwear, while making them wearable and easily transforming them into statement pieces for anyone’s wardrobe. 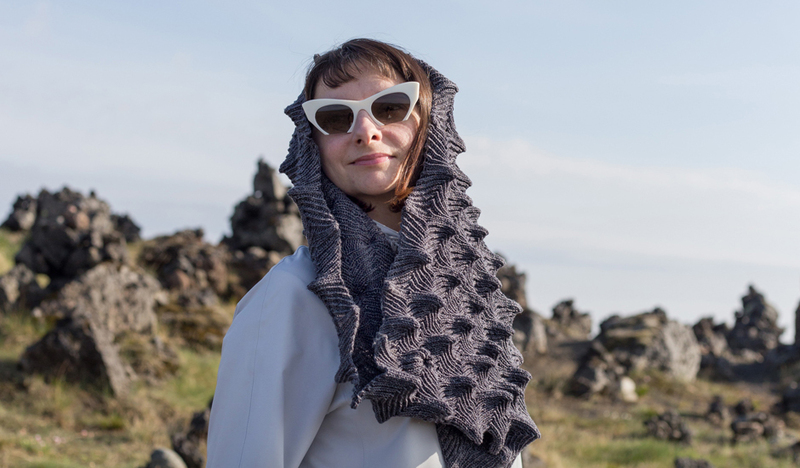 Available in 3 sizes, you can create your own but make sure to preserve the spiked texture by selecting to carry a single strand of steel fiber yarn together with the working yarn.